F.M. 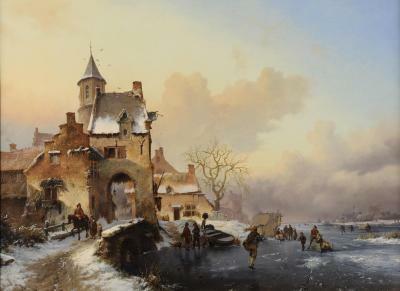 Kruseman is one of the most famous landscape painters of his time. In 1833, at the age of 17, Kruseman appeared for the first time as an artist when he participated in the Exhibition of Living Masters in The Hague. As it was essential for a landscape painter to gain new impressions of his surroundings and beyond, he travelled a lot and rarely stayed at the same address for more tha . . .